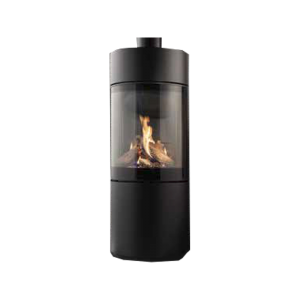 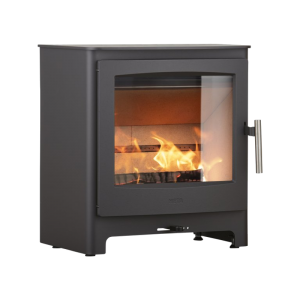 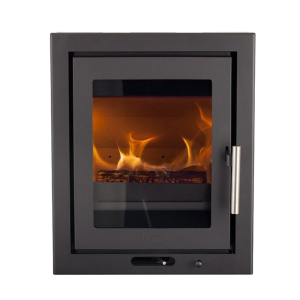 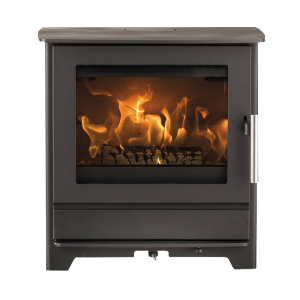 The Churchill exudes contemporary style, the stove has a softly curving glass door and easy open chromium handle which adds sophistication to the Churchill stove. 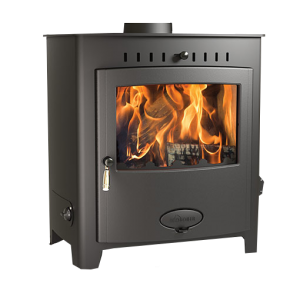 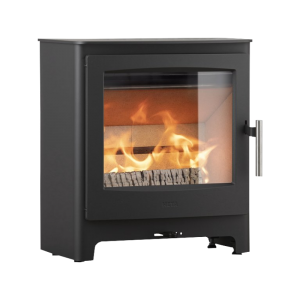 The Churchill radiant model range is available in a choice of outputs, from 5 to 10 kW, so you can be sure that you will be getting the correctly sized stove that looks stylish and has the latest technology incorporated for your room. 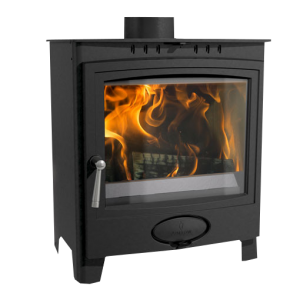 Control of your stove is easy with the unique Universal air controlling system from Mendip, combustion air is adjusted with a single cool touch lever which precisely directs combustion air and enables better efficiency and more complete combustion of the wood fuel. 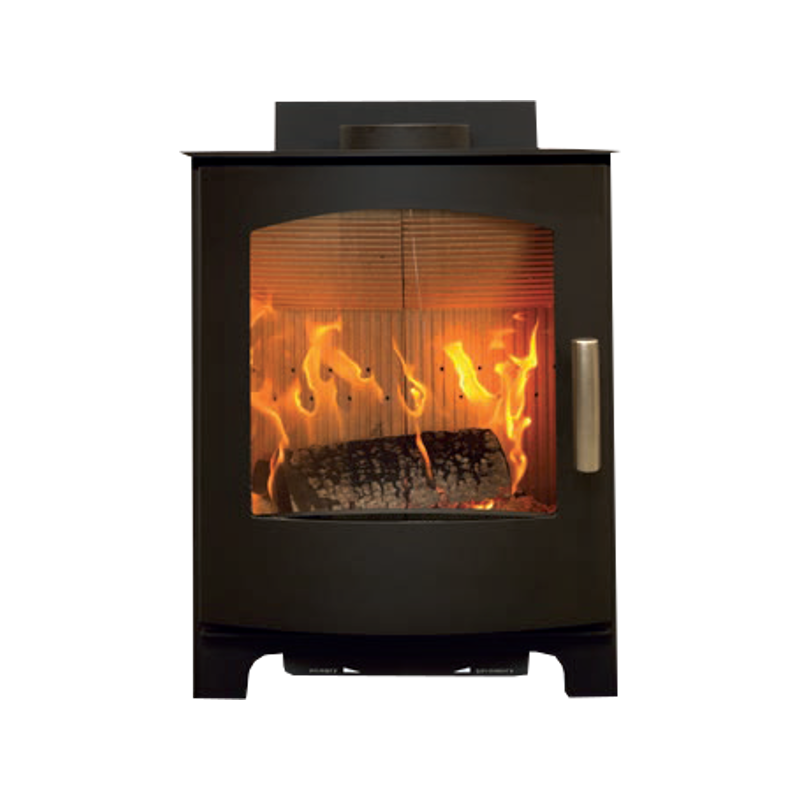 Churchill models are designed with an external air connection which allows combustion air to come from outside and not from the room. 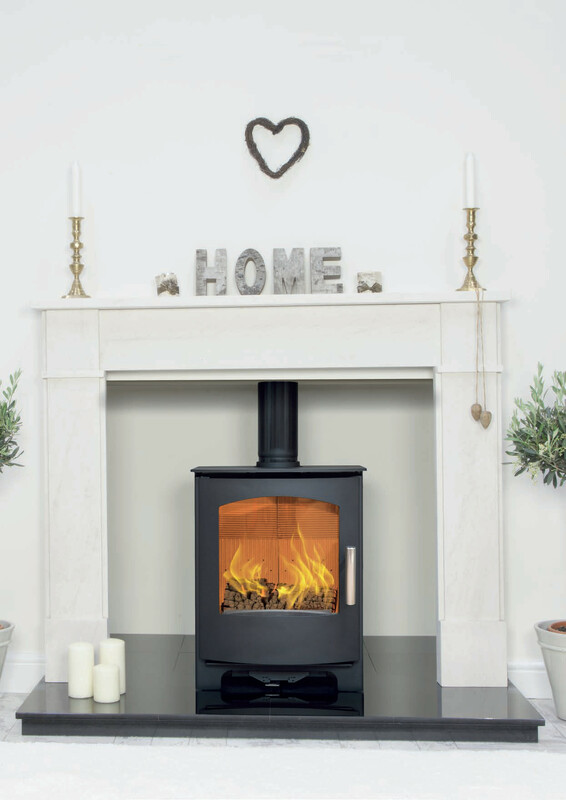 Another example of clever thinking from Mendip.